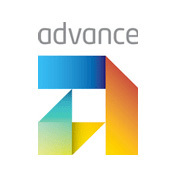 Advance Press is a leading Western Australia quality printing company. Established in 1938, our company’s philosophy is to provide superb quality work with a complete focus on customer service. Our team has a strong background in print and we consistently produce high quality work, hence the company has received many awards. Advance Press commitment to environment and quality is reflected by the Greenstamp Level 2, ISO 9001, FSC Certifications. Bluestar Web is an awarding winning, quality conscience, heatset web printer. We specialise in high quality magazines and catalogues. We are passionate about providing the best service, quality and consistency to our customers through the innovative use of technology and our dedicated team of professional staff. Bright Print Group is committed to providing complete communication solutions that engage, inspire and excite the senses. Be it print on paper, print on plastic or print on board, we can engineer small and large scale pieces that communicate your brand to your client. From traditional offset and digital printing to mailing and distribution; specialised cartons and point-of-sale pieces – we work with a world of tactile possibilities to create the ultimate impression. Finsbury Green is Australia's leading sustainable communication solutions provider. Our knowledge, experience and technology provide an innovative approach to your communication requirements. We deliver an efficient, best practice service that promotes sustainability right through our business and supply chain. Since 1996, IBS Design Resources has provided wholesale colour printing services exclusively to the design and print trade in Australia and New Zealand. Specialising in high quality business cards amongst a range of other stationery and promotional items, we produce sustainable printing with a waterless offset press. IBS offers a three-way guarantee promising unbeatable service and pricing on products that surpass all expectations. With a wealth of experience at its core and world best practice as its foundation - Immij is setting a new benchmark in printing and environmental standards. Certification includes Forest Stewardship Council (FSC) and Programme for the Endorsement of Forest Certification schemes (PEFC), plus ISO 14001 and quality accreditation ISO9001. Whether it's stationery or complex multi colour printing, our expert staff, leading technology and commitment to client satisfaction, will deliver your print project to the highest possible standard. Lithocraft is a business communication and people specialist. Our relationships with our customers are critical to our success. Our entire corporate culture, the way we work day to day, revolves around people. We offer a single supply operation model that is as flexible and adaptable as people themselves. Dedicated account managers work very closely with clients, getting to know your business from the inside to deliver fast, easy and measurable results. Our in-house, end-to-end offering is unique. Combined with our commitment to innovation and technology, it is as powerful as it is cost-effective—a true best-in-class production service for marketing and procurement specialists looking to improve workflow and build brands. Established in 1992, we're a medium sized printing company located in Camperdown, within minutes of Sydney CBD. We offer a wide range of quality printing and in house finishing, allowing flexibility to meet demanding deadlines and competitive pricing structures. 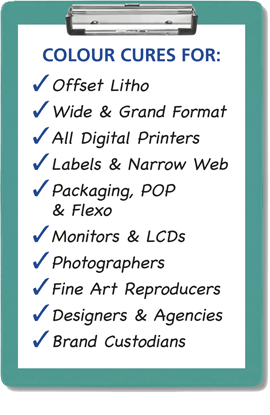 Printcraft is a family owned business with a 30 year history of printing quality commercial Litho and Digital work. Printcraft also provide Mail and Logistics with online ordering and extensive web to print capabilities. There are many good printing and communication companies. And then there is Rooster IMC – a whole new world of print and digital communications. Tighter budgets and changing market conditions demand smarter solutions. Solutions that help you achieve your business objectives and stay ahead of the competition. At Rooster IMC, that's exactly what we do. We develop customised solutions that work exclusively for you. Scott Print is an Award winning commercial sheet fed offset printer that offers a complete prepress, printing and binding solution in accordance with the Quality Assurance (ISO 9001), Proficient Printer (ISO 12647-2 Offset and ISO 12647-8 Validation Print Digital), Environmental Management (ISO 14001) and Level 3 Green Stamp accreditation. Utilizing the latest in offset and digital technology we offer a full Print Management, Warehousing and Logistics service throughout Australia. At WestRock, we provide packaging solutions designed to give our customers a winning edge in the global marketplace. We partner closely with them to deliver the best value on a wide variety of packaging and specialty packages. We consider ourselves to be part of their team as we work together to deliver high quality, differentiated paperboard packaging solutions that meet their specific goals. Every day, our 45,000 team members combine practical innovations and rigorous execution in more than 300 operating and business facilities across North America, South America, Europe and Asia-Pacific to deliver products and services that answer unique local needs. WHO Presentation Services take pride in providing simply the best service and product quality in the printing industry, ensuring your experience is a valuable one. Our company is committed to consistently improving by using the latest technology while being environmentally conscious. When it comes to printing....... WHO is not a question... it's the answer! Soar Printing is a leading New Zealand print solutions and printing services company. We work with clients in every industry sector, providing offset printing, digital printing, label printing, online print management, large-format printing and more. Talk to us about how we can help you to achieve better print quality that's also better value for money.